In the UK, allotment waiting lists have never been longer with many people eager to get out and grow their own produce. With the current emphasis on healthy living, growing your own organic fruit and veg has arguably not been this popular since the war. However, starting out can be slightly daunting. Therefore, we’ve put together a handy guide of how to grow squash in a greenhouse. From sowing the squash seeds, growing the fruit, to knowing when to harvest you’ll find everything you need to know. There are many different varieties of squash that we enjoy here in the UK. Squash variety can be broken down into two forms, summer and winter. Perhaps surprisingly, these forms do not denote seasonal type, but the perishability of the squash itself. Winter squashes have harder skin and seeds and can be kept for months before consuming. The hearty butternut squash is the most popular winter squash in the UK. In contrast, summer squashes have thinner peel, are often sweeter and can be kept for one or two weeks before perishing. Summer squashes like courgettes tend to be more in demand. How do you sow squash seeds? In your greenhouse you can start to sow your squash seeds from around the end of March right through till the end of May. You’ll need to start the seeds off in small pots. Typically, around 3-4 inches with one seed in each pot. Place the seed around 1 inch deep, completely cover it in the soil and water thoroughly. When you need to move the seeds into larger pots will depend entirely on the type of squash and the environment the seeds are in. The best indicator that they are ready to be moved to a larger pot is that the roots of the squash will begin to show through the bottom. A pot around 5 inches or more should be adequate space for your squash to grow in. How do you grow squash seeds? 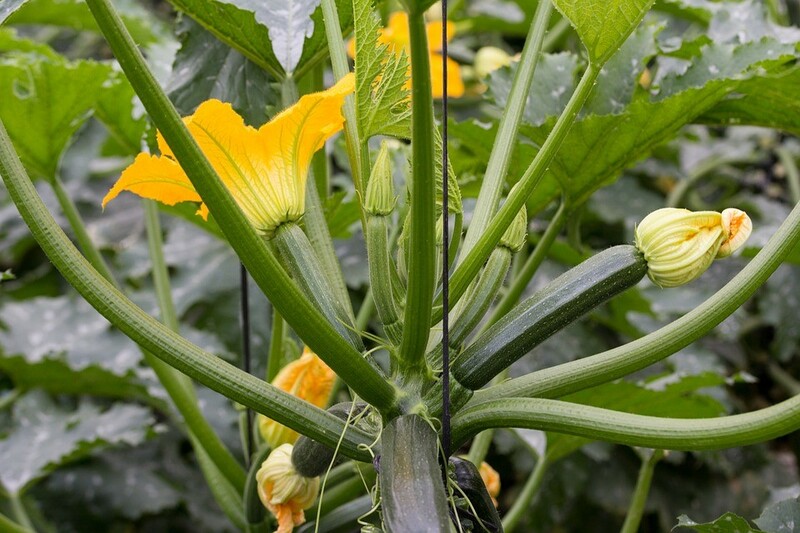 Summer squashes grow best in air temperatures of 15°-23°C, if the temperature increases the fruit will still ripen but any flowers will begin to drop off. If taken care of properly, squash is fast growing so you will need to keep an eye on your seeds for they will soon outgrow their pots. If you sow your seeds in early spring they should be ready to be moved for the final time into grow bags by late spring or early summer. The most important factor to consider when moving your squash is space. A growing squash plant will produce 4 to 6 stems growing from a central root and large, broad leaves filling out as much space as it can. Your squash will thrive in sheltered, sunny spots with warm soil, a well heated greenhouse is ideal for them. This space can be easily achieved by planting your seedlings in raised beds where they have their own space to grow. This will give any other plants you have in your greenhouse a chance grow too as the squash leaves can be invasive. The type of soil you use and the quality will make a big difference too. Ensure your seeds are placed in good quality soil preferably mixed with rich compost or manure. Squash prefers a soil pH of around 5.5 to 6.8 so it is important to bear that in mind before sow and moving your seedlings. Like many fast-growing plants your squash will need to be watered regularly. Avoid watering over the plants themselves, this will incur a build-up of water around the neck of the plant can lead to rotting. Once you see the fruit forming and it is good to elevate it from the soil itself. Try placing a wooden plank under the fruit to reduce its potential exposure to insects. This should be less of an issue in a greenhouse but is an easy extra precaution you can take to ensure your squash can grow as large as possible. 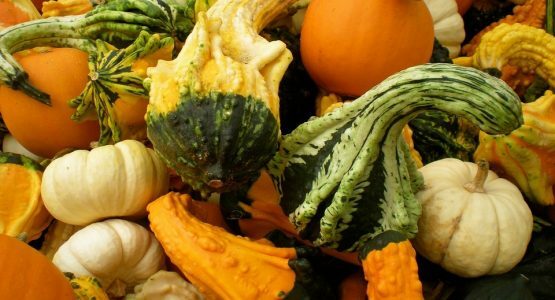 When should you harvest your squash? When your squash is ready for harvesting you will need a sharp knife to cut the fruit from the plant itself. You will know your squash is ready when the skin is firm to touch and you cannot easily pierce it with your thumbnail. Harvest your squash frequently, this will stimulate greater production from the plant itself. Be careful not to leave it too long for overly ripe squash will become too hard, seedy and most importantly lose much of its flavour. Summer squashes can be picked earlier when the skin is softer with winter squashes being left later till fully matured. With so many varieties of squash coming in all different shapes, sizes and flavours squash is a wonderfully easy but versatile vegetable to grow in your greenhouse. Looking for more inspiration on what to grow in your greenhouse? Have a look at our guide to growing grapes in a greenhouse – it’s not as tricky as you might think!